As professional bartenders, we have been studying to be Gin Liquor Connoisseurs. We have tasted over fifty different best gin brands. We have Gin History, Gin Cocktails, Gin Trivia and Gin Recipes. Gin is the only alcohol liquor that was first developed as medicine remedy before it became popular as a social drink. There is a difference between cheap bar gin and Premium Gin. We inform customers if you want to drink hard liquor, choose Gin over Vodka, Whiskey or Rum. And if you don't want the calories in beer and wine, TRY A GIN Cocktail ! ... BECOME A GIN LOVER! Most consumers have heard about leading Gin brands such as Tanqueray, Bombay, Gordons, and Beefeaters. We invite you to explore the fragrance and taste of the hundreds of different Gin brands produced around the World. GIN OF THE MONTH. Read about new Gin Brands we have selected to review. We have tasted over fifty different gin brands. Gin derives its predominant flavor from juniper berries. Discover some of the best brands of gin for every taste and mix up a great gin cocktail. GIN COCKTAIL OF THE MONTH. We want to teach you how to be a great Gin Bartender. Impress your friends with how to make great Gin drink. Treat Friends to a New Gin Drink every month. GIN HISTORY. Most people think Gin is British. The French claim they have been involved in gin making for over 450 years dating back to the 16th century. Gin production in the United States dates back to colonial times. GIN TRIVIA and GIN FACTS. Learn about Gin Facts that few people known. Bathtub gin refers to any style of homemade spirit made in amateur conditions. It first appeared in the United States prohibition-era poor-quality alcohol that was being made. GIN BLOG. Learn the latest Gin News and Events happening all around the World. GIN TONIC. 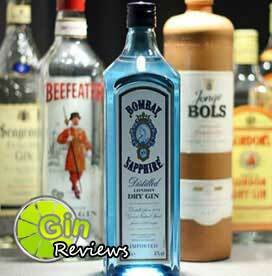 he Gin Tonic was introduced by the army of the British East India Company in India. Tonic water contains quinine, which was used to prevent malaria. GIN ARTHRITIS REMEDY. My 92 year old mom has this home remedy using Gin soaked raisins. She swears that it helps to relieve her arthritis pain. JUNIPER BERRIES. It is said, Greeks used juniper berries in many of their Olympic events because of their belief that the berries increased physical stamina in athletes. GIN MARTINI. The martini is a cocktail which is create with gin and vermouth. 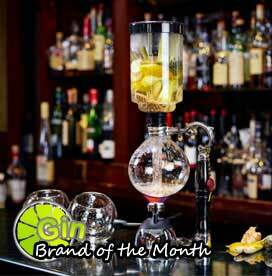 Over last few years Gin martini has become one of the famous mixed alcoholic beverages.